Passage Across the Mersey is the brand new biography of Helen Forrester written by her son, Robert Bhatia. Drawing extensively on Helen’s letters and speeches it tells the dramatic story of Helen’s childhood during the 1920’s, her struggle for survival during the Depression and war, the romance of a new life in India and her emergence as a best-selling author while living in Canada. 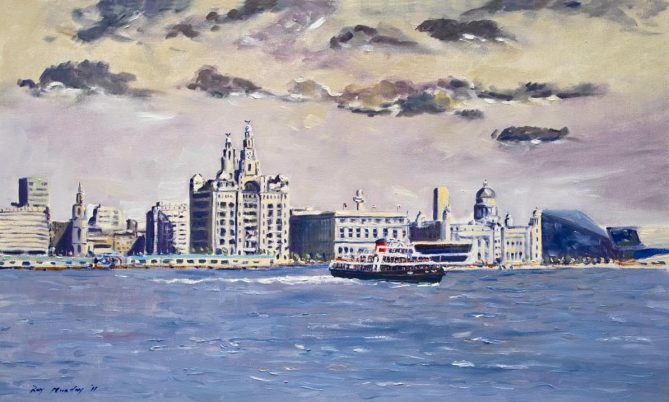 Print of The Three Graces and the Mersey River courtesy of Roy Munday.